Polo Ralph Lauren democratizes the club tie, with this classic club solid silk tie. 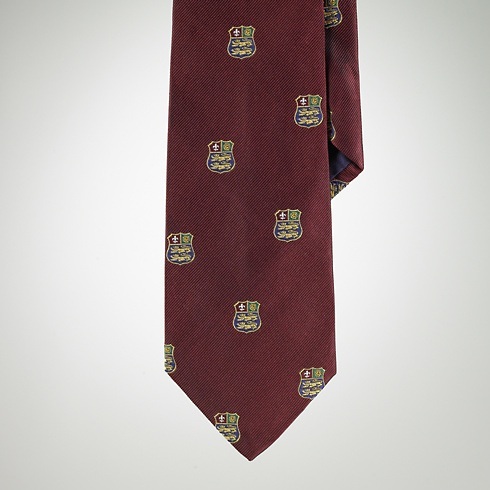 A beautiful silk twill tie, in a rich wine color, the tie features embroidered club patterns throughout. Show your class and refinement with this beautiful Italian made tie, available online now. This entry was posted in Accessories, Ties and tagged Polo Ralph Lauren, Ralph Lauren, Tie. Bookmark the permalink.